Colombian miners are seeking to gain coveted “AO” status for their emeralds, widely considered to be the finest in the world. “AO” is shorthand for “appellation of origin,” which is a designation given to products that possess unique characteristics associated with their geographic location. One of the most notable products with “AO” status is Parma ham from Italy. For ham to be marked with the Parma name, it must be produced in the Italian province of Parma using pigs exclusively from that area. Other famous “AO” products include Tequila from Mexico, Bordeaux wine from France and Gruyere cheese from Switzerland. 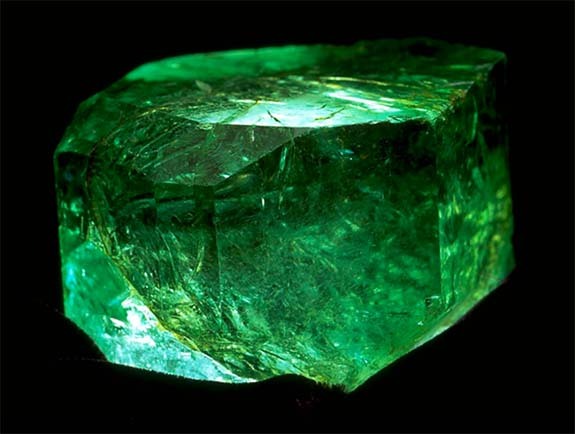 Colombia’s national emerald producers’ association, Aprecol, is planning to submit its “AO” application to Colombia’s patent and registration office by the end of this year, according to the Financial Times. Once approved by that office, the application will be forwarded to the UN’s World Intellectual Property Organization in Geneva, Switzerland, for further consideration. A final decision could come as early as March 2019. The association will argue that Colombia’s emeralds are distinctively different than emeralds mined in other parts of the world. Not only do they possess a rare combination of intense color and crystalline transparency, but they also have a unique chemical fingerprint, according to gemologists. With the use of X-ray spectroscopy, they can pinpoint whether a stone was sourced at Colombia’s Muzo, Coscuez or Chivor mine.